You know how people are, like, super duper epically into creamed spinach, especially when they go to steakhouses? I need to admit something: I don’t get it. It seems weird to add mush to mush and then end up with kind of a pile of mush. 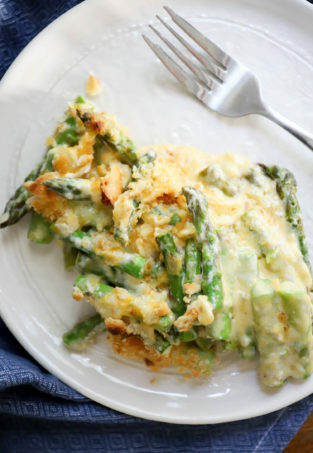 I KNOW IT’S NOT REALLY THAT, but it this particular side dish has always been sort of lame to me, and I don’t think I’ve ever honestly eaten it in a restaurant. 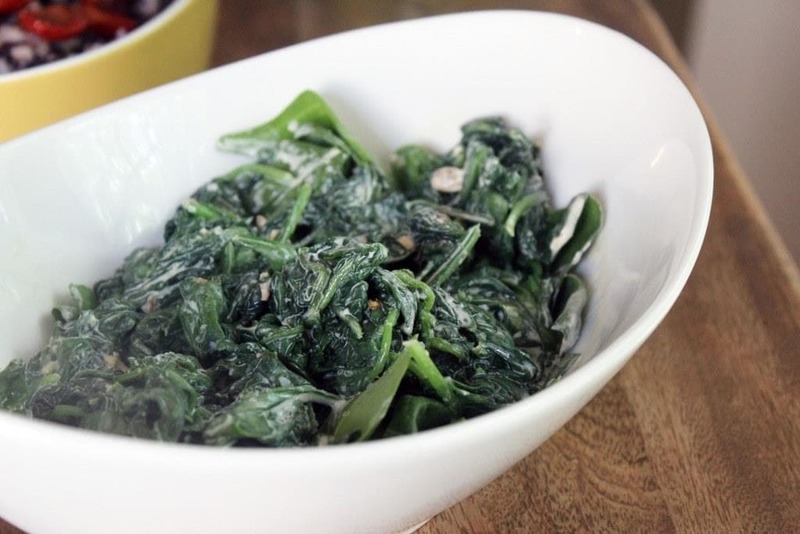 I also ate a ton of frozen spinach as a kid (Mama, I know that it wasn’t really every night of my life), and the texture is just UGH. Like stringy prechewed grass? But that doesn’t taste good? Sorry for the visual – my point is that when creamed spinach is made from frozen spinach it makes me feel sad on the inside where my feelings live, SO I DON’T EAT IT. Until now! When I made it with fresh spinach! And cheese! Let’s go. 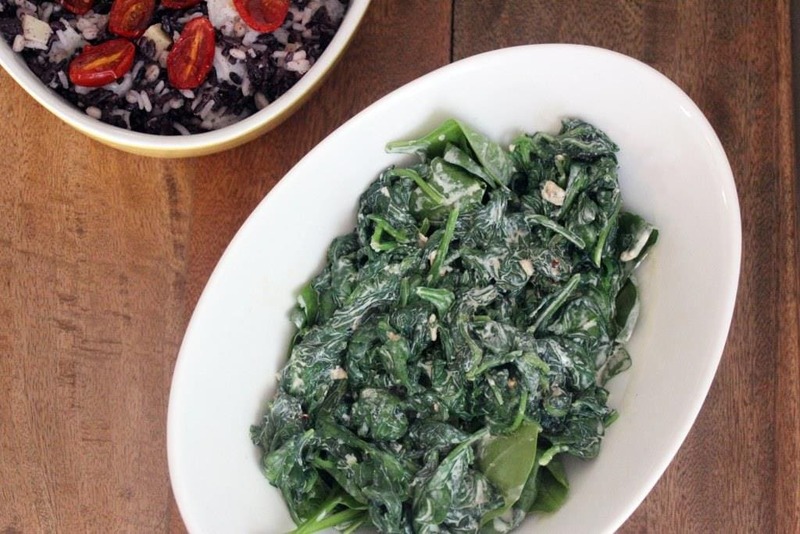 You need fresh spinach, obviously. Two bags looks like a ton, but I served this quantity to 5 people and there were no leftovers. None. You also need 1 clove of garlic, cream cheese, smoked paprika, salt, and crushed red pepper if you like heat. If you don’t have smoked paprika that’s ok! Just use regular or leave it out altogether. The cream cheese + garlic combo is really the point of this story. Now, this cooks SUPER fast, and if you let it go too far we end up with the sad wilty issue I already mentioned. This is not a make-ahead side, but it’s fine because it takes 5 minutes to make so….last minute is perfect! I start this in a cold skillet so things don’t get too hot too fast. 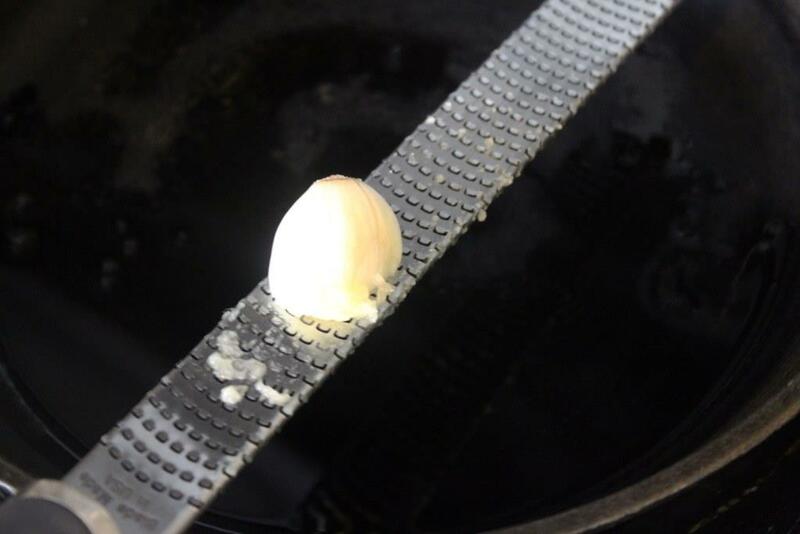 Grate the garlic directly into the skillet. 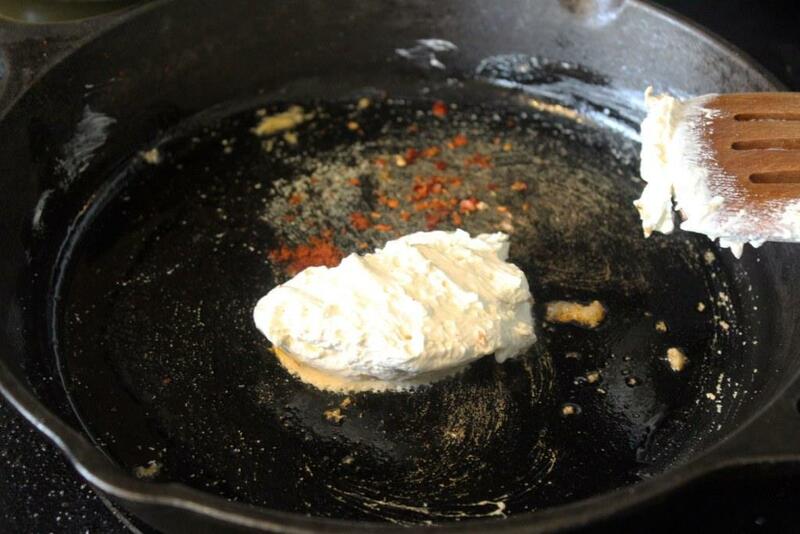 Then, add the cream cheese, salt, smoked paprika, and crushed red pepper if you decide to use it. Stir the spices and cream cheese together over medium heat for just a minute or two until the cream cheese melts about half way. Then, add the spinach! You may have to add it in two batches – it reduces by about 1/4 in the skillet, but takes a minute. 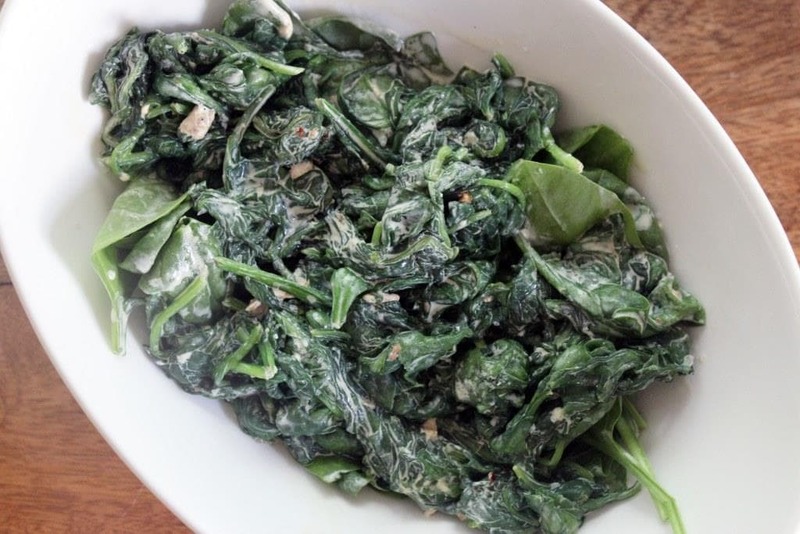 Gently toss the spinach in the cream mixture until it JUST starts to wilt, then turn the heat off. 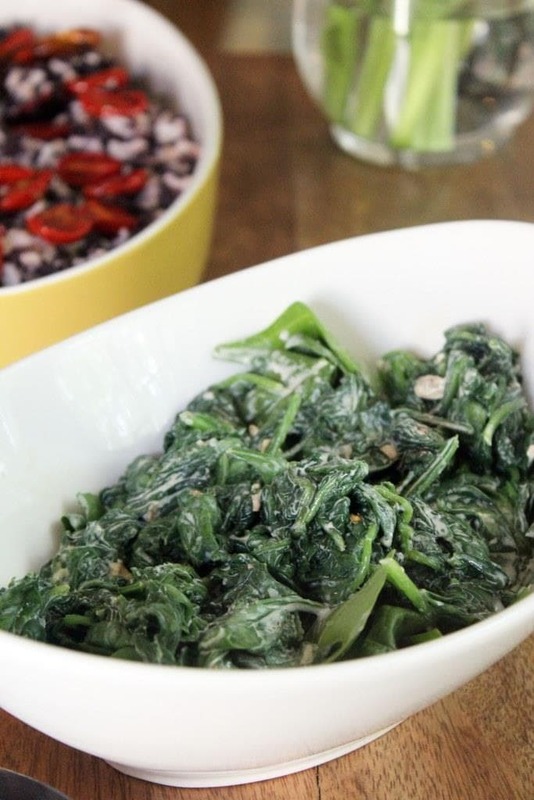 Taste the spinach, and add more of any of the spices that you’d like. Then, serve! The liquid will release from the spinach and combine with the cream cheese and THIS is what I think creamed spinach should be all the time. 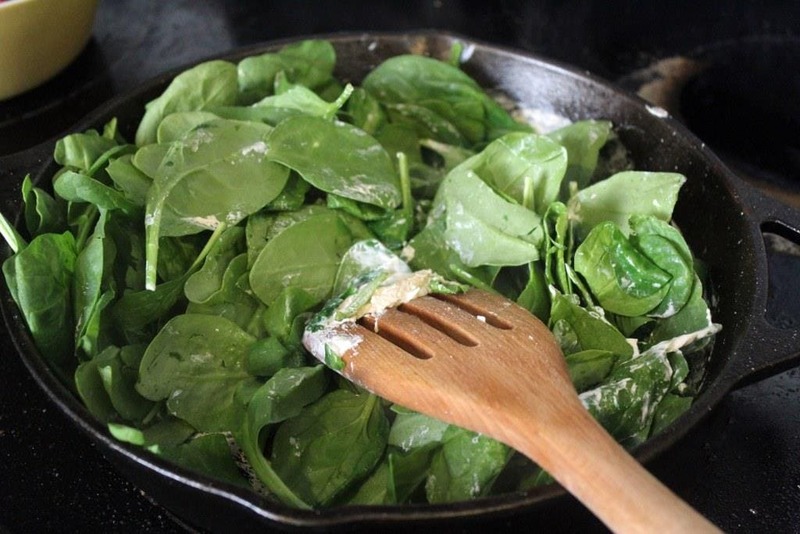 Add all the ingredients but the spinach to a skillet over medium heat. Stir to toast the spices and melt the cream cheese. 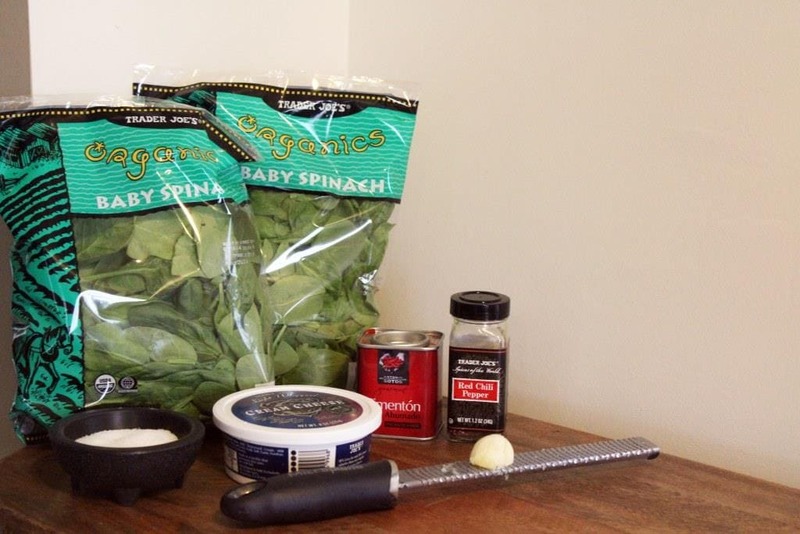 When the cream cheese is nearly melted, add all the spinach and toss for 2-3 minutes until just starting to wilt. 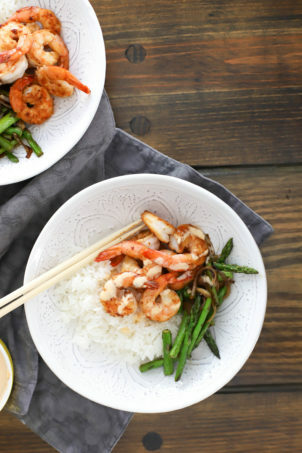 Turn the heat off the skillet and taste: add more of any spices that you'd like. Serve immediately - the spinach will be very hot and continue to wilt in its own juices. 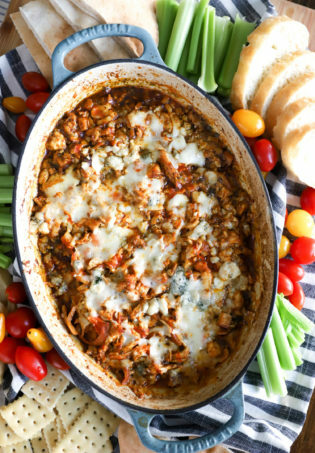 Another DELICIOUS looking recipe- I’ll try this one tomorrow! What’s in the background with the little tomatoes? That looks really yummy too!! 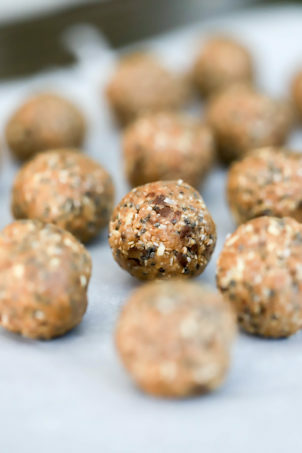 It’s cooked barley made to taste like Caprese with roasted tomatoes, mozz cubes, balsamic drizzle, and basil. YES IT IS.